← The Graves Amendment: Does it Shield Membership-Based Car Sharing Services from Vicarious Liability? We will pay all sums that an “insured” legally must pay as damages because of any “act, error or omission” of the “insured” to which this insurance applies and arising out of the conduct of your “auto dealer operations”, but only if the “act, error or omission” is committed in the coverage territory during the policy period. The occurrence-based coverage afforded under the ADCF can be problematic if the auto dealer’s prior policy or policies afforded claims-made type statutory errors and omissions coverage (i.e., coverage requiring the claim or lawsuit to be “filed” or commenced during the policy period). If a dealership switches from claims-made coverage to occurrence-based coverage, there will be a gap in coverage (potential uninsured exposure) with respect to liability resulting from consumer transactions that took place prior to the inception date of the ADCF policy which were not sued out prior to the expiration of the prior claim-made coverage policy. This can be quite significant to dealers, particularly in the context of consumer class action litigation that may relate back several years. In a class action, the class representative is entitled to represent other similarly situated customers who entered into transactions within the applicable statute of limitations. Thus, a dealership customer who enters into a transaction during the ADCF policy period can commence suit seeking to represent dealership customers who entered into transactions that took place in previous years when the dealership was insured on a claims-made basis. 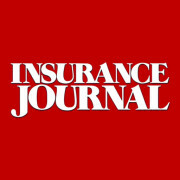 The insurer issuing the claims-made coverage would not be obligated to defend or indemnify the dealership with regard to transactions occurring during its policy period because the claim or lawsuit was not filed during its policy period. To protect the dealership, the dealer’s insurance agent or broker should make sure the dealer’s prior policies did not provide claims-made statutory errors and omissions coverage. If so, the dealership needs tail coverage (or an extended reporting period endorsement) to continue the protection afforded under the prior policy or policies or the new insurer needs to include a prior acts endorsement. Under the latter, the new insurer assumes coverage for the prior acts occurring in the other carrier’s coverage period. See, e.g., Buckeye Ranch, Inc. v. Northfield Ins. Co., 134 Ohio Misc.2d 10, 17, 839 N.E.2d 94 (Ct. Common Pleas 2005) (“[d]ue to the conceptual difference in coverage, an insured switching from a claims-made to an occurrence-based policy can experience a gap in protection…. such a gap may arise if a third-party claim is first made after a claims-made policy has expired, but arises from an event that occurred before the new occurrence-based policy took effect. To bridge this potential gap, so-called … ‘nose’ coverage may be purchased…. [which] treats prior acts as ‘occurrences’ within the new policy period”). This entry was posted in ADCF Policy, Auto Dealer, Truth in Lending Coverage. Bookmark the permalink.